When Denver resident Doug Kacena was a freshman at the University of Colorado Boulder in 1994, his older sister, Melissa, asked for a favor. “I needed a whole bunch of hands to take measurements of bacteria every two hours,” recalls Melissa Kacena, who was working on her master’s degree at the same school. The bacteria project wound up on Space Station Mir and Kacena went on to get her Ph.D. in aerospace engineering at CU Boulder and did post-doctoral work at Yale University. The younger Kacena? He dropped out of the molecular cellular developmental biology program to major in art. He’s now a ground-breaking abstract artist who recently challenged traditional artists to give him paintings so he could paint over them. More than 20 years later, Melissa Kacena asked her brother for another favor. The siblings reunited on a project that is headed for space on Saturday. Melissa Kacena is currently in Cape Canaveral, Fla., prepping 40 mice for a trip to the International Space Station. They’ll be studied as part of a bone recovery experiment. She tapped her brother to design the official patch for the team’s space mission, the Rodent Research IV. Embroidered patches with personal stories have been a part of NASA’s history since 1965. But most patches don’t make it into the public eye — or even NASA space stores — and no one seems to know how many patches exist. “I would estimate about 200 to 250 total, and that doesn’t take into account the patches designed by the customers (military, commercial and NASA) that rode on those launches,” said Robert Pearlman, editor at collectSPACE, which is full of key moments in space history. The space agency lets mission participants design their own patches for team-bonding purposes, according to Bill Barry, NASA’s chief historian. But NASA only keeps track of patches from official trips, which include all manned missions, shuttle launches and select others — or about 160 since the first patch was used in 1965. NASA makes the taxpayer-funded designs available to the public, so anyone can create one. NASA prefers to stick to its blue and white logo. But Barry understands the affinity for space mission patches. NASA didn’t want to risk criticism if the mission was shorter or longer than eight days. They approved the patch, but not the wording. That was covered up by a piece of white cloth. And from then on, space mission patches became a thing — as long as NASA gave its approval. But unofficial patches don’t have to follow any guidelines since they are not used for official NASA communication, Barry said. There could be multiple patches for the same launch if multiple parties are involved. 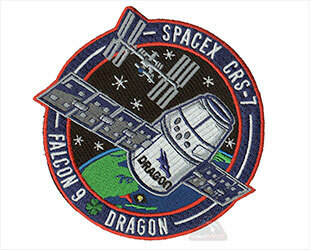 Private companies like SpaceX and United Launch Alliance have made their own mission patches. 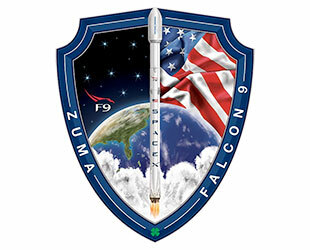 Other government agencies that have launched satellites also have created patches, including the elusive U.S. National Reconnaissance Office. Theories abound as to what the secretive satellites were intended for, with mystery patches to boot. 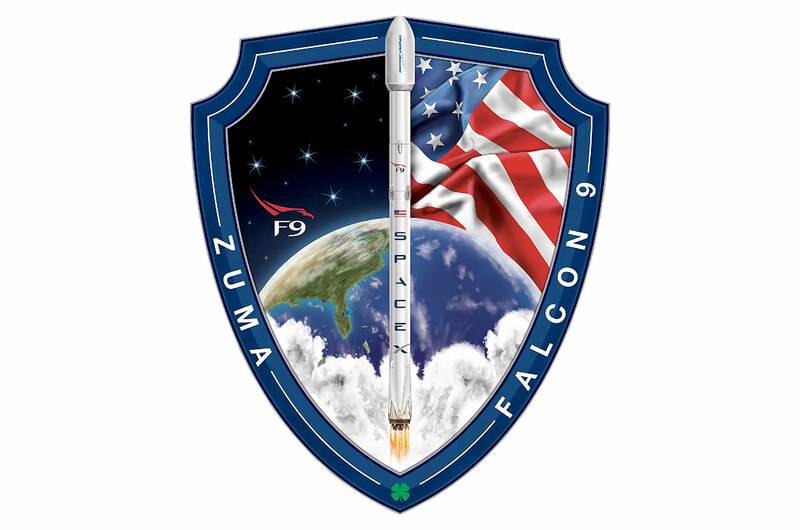 One patch for the NROL-35 mission has a purple-haired wizard holding a trident and ball of fire. Another, for a 2011 launch, shows a bird engulfed in flames with an American flag in the background and Latin words that translate to “Better the devil you know,” according to the Smithsonian. One popular patch was worn by the crew that launched the Spirit and Opportunity Mars rovers in 2003. Entertainment company Warner Bros. worked with the Air Force to create patches for each rover, one featured Marvin The Martian, the other Daffy Duck as Duck Dodgers. Even astronaut classes have their own patches, like the astronaut class of 1990. The 13th class played on the unlucky number by picking a black cat and calling themselves, the Hairballs. Research teams like Rodent Research IV have jumped at the chance to design their own patches. That brings us back to Melissa Kacena, now a professor of orthopaedic surgery at Indiana University School of Medicine. She’s been working with her students for more than three years on a method that helps bone fractures heal while a person is “weightless,” via crutches or recuperating in bed. That’s hard to test with mice, who don’t like to stay still even when asked nicely, she said. Bone fractures actually heal better with exercise, which increases bone strength. But walking on a fracture doesn’t help the bone-healing process if a metal or hardware implant is involved. “If all your body weight goes into the implant, it will eventually fail. You need the bone to start growing before the implant fails,” she said. With support from the U.S. Department of Defense, the project becomes the fourth to send mice into space. Astronauts at the space station will help with the research before sending everything back to Earth after four weeks. After asking her team to come up with patch designs, they turned to her brother, Doug, who created a fairly straightforward design. The Rodent Research IV patch shows a silhouette of a mouse, its tail tucked underneath a strand of DNA. A galaxy of stars is in the background while the SpaceX Dragon capsule floats near the patch’s edge. 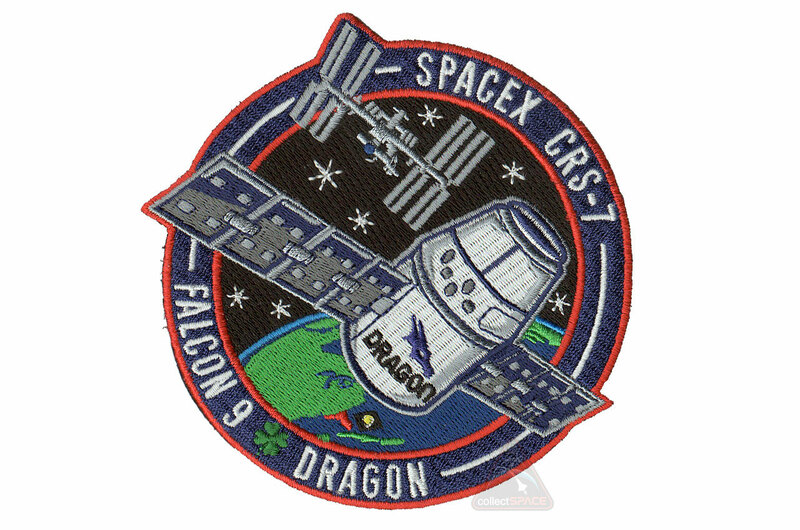 The embroidered patch is scheduled to hitch a ride Saturday on the SpaceX Dragon during its CRS-10 cargo resupply mission to the ISS, a trip originally set for last summer. Before the group packed up its gear and headed to Florida, Melissa Kacena talked to her team. “Patches have always been symbols of identity,” says the illustrator Christabel MacGreevy. “They’re a way of marking allegiance and signing up to something, whether it’s your school, the band you like or a 1970s motorcycle gang.” MacGreevy, 25, is herself outfitted in patches on a recent morning in London: her black jeans are worn with a baseball vest that has the word ‘chic’ stitched onto the front. She is discussing the ethos behind Itchy Scratchy Patchy, the playful line of decorative patches — and now clothing — that she co-founded with her lifelong friend, the British model Edie Campbell, a year ago. Decorated with brightly stitched marigolds, toadstools, centipedes and sumo wrestlers, her leather biker jacket, which is nonchalantly slung over the back of a chair, is a vivid scrapbook of the brand’s embroidered iron-ons, which have become popular with Courtney Love and Gigi Hadid. For today, the elegant kitchen belonging to Campbell’s mother, the fashion stylist turned architect Sophie Hicks, doubles as the Itchy Scratchy HQ. The minimal space’s white walls serve as a counterpoint to the irreverent aesthetic of the brand — which began on a whim, and without outside investment, as an antidote to the samey, normcore looks that have become so dominant. The marble-topped kitchen table is littered with laptops, phones and safety pins, all the accoutrements of their self-described cottage industry. Even Campbell’s nearby West London apartment has become a makeshift storage unit for the pair’s latest project: An 85-piece clothing collection of vintage Levi’s denim and Sunspel T-shirts, all lovingly embroidered, patched and painted in their inimitable decorative style, which goes on sale this weekend at London’s Dover Street Market. It’s the first time the pair have ever produced a capsule of clothes bearing their own iron-on designs — as a way to show how Itchy Scratchy patches can be worn and styled. But don’t fret fashionistas, you can create a contemporary look for your line for much less than you might imagine. The Chicago Embroidery Company sews custom embroidered emblems, based on your design. Send image for free quote. sales@c-emblem.com, http://www.c-emblem.com or call 312/664-4232. NOTE: Individual patches are not sold, the company manufactures emblems in quantity. The key element of “gimme caps,”( as in “Gimme one of them caps,” as the farmers would ask their seed or equipment dealer for free promotional headwear), agriculture and related industries have long relied on embroidered patches to advertise their products and services. Most popular are the corn and other seed producing companies, who have been emblazoning hats, jackets and other items with beautifully embroidered artistry for years. Primarily corn (for which there are many hybrid varieties), but also other agricultural producers realize the inherent promotional value of an embroidered patch in raising and maintaining company visibility. Of all the agricultural equipment manufacturers, John Deere has probably grown the highest profile in the ag patch community, but many other companies take advantage of embroidered patches to create visibility for their products. State agricultural inspectors can be readily identified by embroidered patches on the shoulders and pockets of their uniform shirts. Even the U.S. Forest Service, part of the U.S. Department of Agriculture, can be counted as part of the ag patch universe. You don’t have to be a farmer to like embroidered patches. You can outfit any group with a custom stitched emblem from The Chicago Embroidery Company. Contact us for a free quote by submitting your design; visit www.c-emblem.com, sales@c-emblem.com or call 312/644-4232. Embroidered patches are the latest detail to take the fashion world by storm, invading the closets of celebs everywhere. From Margot Robbie’s out there embellished boyfriend Zoe Karssen jeans to Gigi Hadid’s DIY-inspired weekender bag, we’re seeing this trend infiltrate every degree of celeb street style outfit. Emmy Rossum played up her Topshop trench with a red, patch-decorated crossbody bag on March 21 in L.A. Whereas Demi Lovato’s Zadig & Voltaire Tackl Army Overshirt did the opposite, and made her two-piece outfit a little more casual, on March 22. The decals on Rihanna’s leather jacket added a pop of color to her otherwise all black outfit on March 26 in NYC. By contrast, Keke Palmer’s denim number by Levi’s toned down the bold red look of her bright Alessandra de Tomaso sheath at the 2016 Nickelodeon Kids’ Choice Awards. The best part about this trend? It’s a cinch to update pieces you already own in no time flat. Just place an embroidered design (like the options from 3×1.us) on a pair of jeans, cover with a thin towel and press a hot iron over the area for 30 seconds — and you’re in on the trend too. Would you wear the patch trend? At The Chicago Embroidery Company, we’ll make dynamic customized patches for you and your group. Visit www.c-emblem.com to submit your design for a free quote, or call us at 312/644-4232. Nothing says spring is coming more than Major League Baseball’s spring training in Florida and Arizona. The Grapefruit League and Cactus League are in full swing, spring training games complete with embroidered patches. There’s even an official logo patch for each of the spring training leagues in the Sunshine State and the Grand Canyon state. training facility and are valued by major league collectors. In 2015, the Arizona Diamondbacks wore a black KAYLA patch during some spring training games in memory of Kayla Mueller, the young Arizona woman who died in captivity in Syria. That same year, the Philadelphia Phillies wore a spring training patch marking the centennial of Clearwater, Florida, their spring home. The original idea for have a baseball pre-season was the brainchild of Chicago White Stockings (today’s Chicago Cubs) team President Albert Spalding and Cap Anson. In 1886, the White Stockings traveled to Hot Springs, Ark. to prepare for the upcoming baseball season. Practicing at the Hot Springs Baseball Grounds, the White Stockings had a successful season; ot her teams noticed and began holding spring training in Hot Springs, including the Cleveland Spiders, Detroit Tigers, Pittsburgh Pirates, Cincinnati Reds, Brooklyn Dodgers and Boston Red Sox. The Philadelphia Phillies were the first of the current major-league teams to train in Florida in 1889; spring training in the Sunshine State began in earnest in 1913 with several teams. St. Louis Cardinals catcher Alberto Rosario wears a spring training patch. but over the years, cities in Cuba, Puerto Rico, Mexico have hosted, as have locales in California and other states. Create your own baseball themed patch with The Chicago Embroidery Company. Check out our new website, www.c-emblem.com for a quote, email sales@c-emblem.com or call us at 312-664-4232 and we’d be happy to help with a design to produce a dynamic embroidered patch for your team this spring. Idolized in American music, movies and television programs, the USA’s love affair with the automobile and the open road is also well represented in embroidered patches. All of the major car companies, both domestic and foreign, can be found in embroidered artistry. Part of the reason for this is the companies logos are some of the most iconic symbols on the planet. Just the outline of the “bowtie” design instantly conveys Chevrolet. Volkswagen’s V over W logo is immediately recognized around the world as the symbol of the German-owned car manufacturer, as is the Ferrari black stallion and BMW “propeller” circular design. Each car company has a medallion type logo for its individual brands. Usually a simple design, it is easily transferred to a distinctive embroidered patch. And it’s not just brands that are depicted in thread and stitching. Individual car models, especially the classic road cars of the 1950s and 1960s, can often be found on an embroidered emblem. Chevrolet’s time honored classic Corvette, the legendary Plymouth Roadrunner, Ford’s Mustang and Shelby Cobra are among the many models of automobile with their own distinctive logo, separate from the brand. Even automobile service departments get into the patch game, with embroidered emblems adorning the shoulders, shirtsleeves and pockets of car technicians around the world.